Here’s what’s of interest from Archie Comics for July 2013. Full solicitations are available here. For the Sonic and Mega Man fans, their crossover (yep, a crossover in Archie) finally concludes this month. But of bigger interest is this month’s Kevin Keller. After months of my pondering when (since it can’t be “if”) we’ll finally see Mr. Keller kiss someone, it looks like it’s finally coming in this month’s issue! Though there’s no indication whether a “goodbye kiss” means a kiss on the cheek (which still seems cop-out-ish versus the smooching levels Archie engages in) or actually on the lips. Still, I look forward to seeing this issued. Kevin also sees the second trade paperback compilation of his solo series come out this month. This collection covers issues #5-8, including the George Takei appearance. For those interested, a trade paperback of the Archie/cast of Fox’s “GLEE” crossover is also coming out this month. 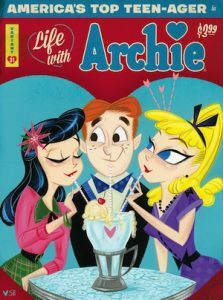 Nice “Life With Archie” and “Archie” alternate covers (retro-50s looking). Diverse Tech Geek is a blog about media and technology. 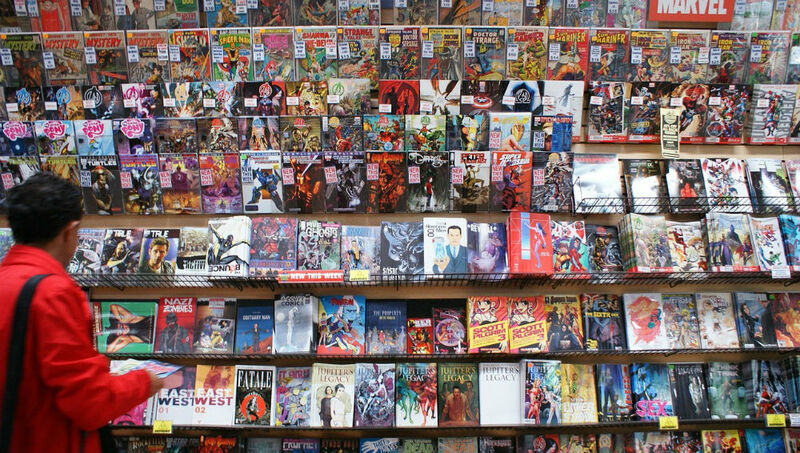 Topics covered include comics, animation, tech news/tips, and diversity issues. More about Anthony, the owner of Diverse Tech Geek, here. Why is Superman more popular than Batman for live-action TV shows? What are some Tumblr blogging alternatives? Who are the most popular superheroes? Blog status update (April 2019): WordPress alternatives?